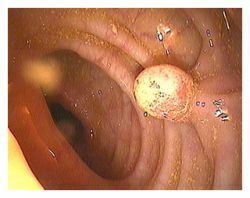 InterActiveHealth Recent Blogs Are you planning on getting a Colonoscopy this month? Are you planning on getting a Colonoscopy this month? March is the month where we celebrate for the awareness for colorectal cancer or Colon Cancer. But no matter what month it is, this is something that you should seriously be considering. Colonoscopies are the manner that this cancer is found. Other intestinal problems can also be identified. More than 55,000 deaths a year are attributed to colorectal cancer. This type of cancer affects both men and women. Screening is the best preventative measure as well as the way to diagnosis cancer. This cancer affects the Large Bowel. The initial age of screening is 50. More than 85% of colon cancers are found in those above the age of 50. Usually there are no symptoms, at least, no initially. Blood in stool, weight loss, fatigue, and a few other symptoms can be seen. Cancer in the colon usually begins as a benign polyp. Over time, and were talking years, the polyp could potentially turn into cancer. But it is vitally important to remember that not all polyps will become cancer. That is why routine biopsies or even removal of the polyp is done during the colonoscopy, just to make sure. A colonoscopy is a procedure where the prep is often far worse than the actual procedure. You need to avoid food for 24 hours. A medication, in liquid form, helps you get cleaned out. 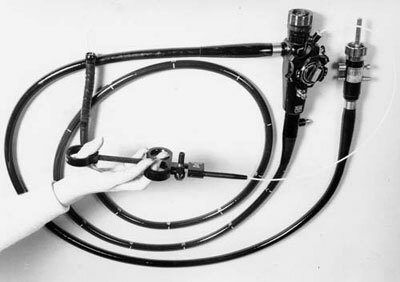 A camera is used for the colonoscopy and it examines the colon. If a polyp is seen or some tissue may seen concerning, then a biopsy or removal of the polyp is easily done. So, as for the celebration this year, try to schedule a colonoscopy if you over the age of 50 and have never had one before. Or if it is time for a follow-up procedure. For any other questions or concerns, contact your medical provider and get it scheduled. 0 Responses to Are you planning on getting a Colonoscopy this month?